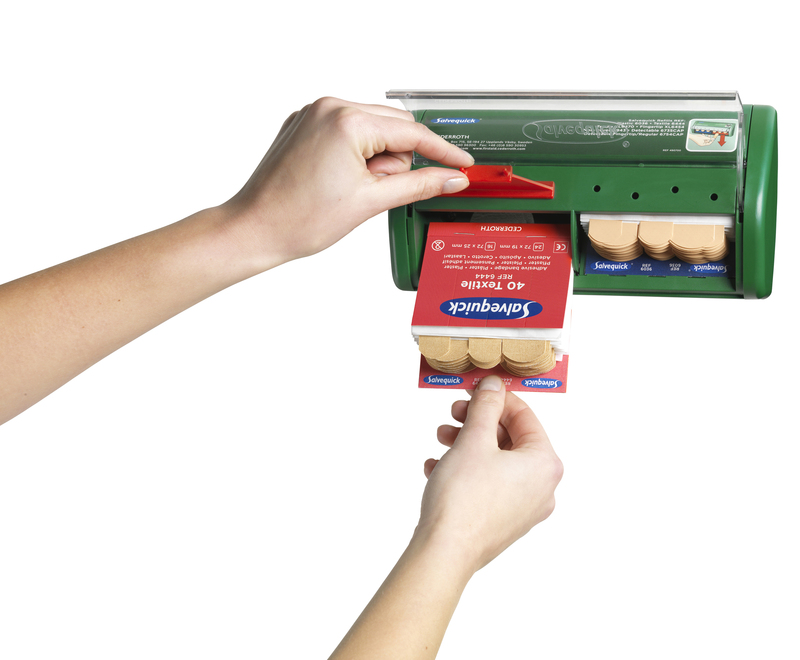 A dispenser for adhesive bandages (plasters) which keeps the plasters clean and dry until time of use. When a plaster is needed it can easily be pulled out and applied on the wound with one hand. The dispenser also functions as an anti-theft system.